We have published digests on the importance of exercise and sleep, but we have never compiled a digest on the importance of good nutrition for learning. In today's digest, we compile 3 blog posts, a podcast, and an interactive lesson on nutrition and the brain. 1) GUEST POST: Does Attention (or Inattention) Begin in Our Brains?! 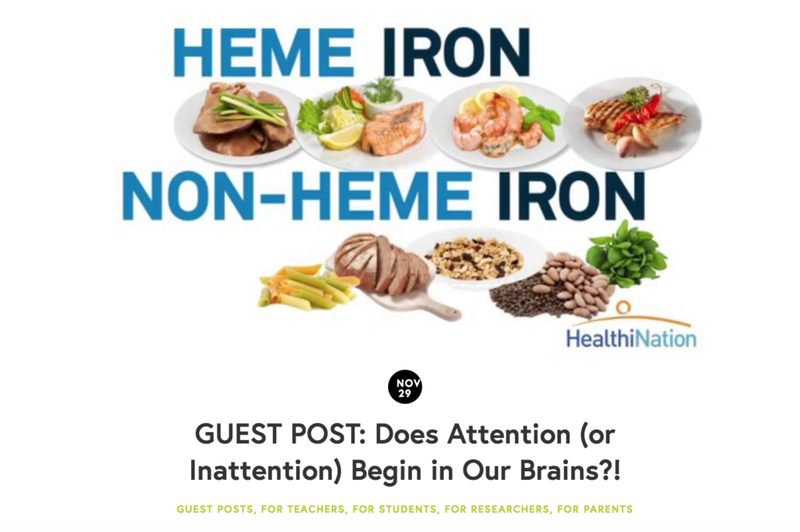 In this guest post on our blog, former Rhode Island College student Mary Cancilliere discusses the effects of consuming different types of iron on attention and ADHD. 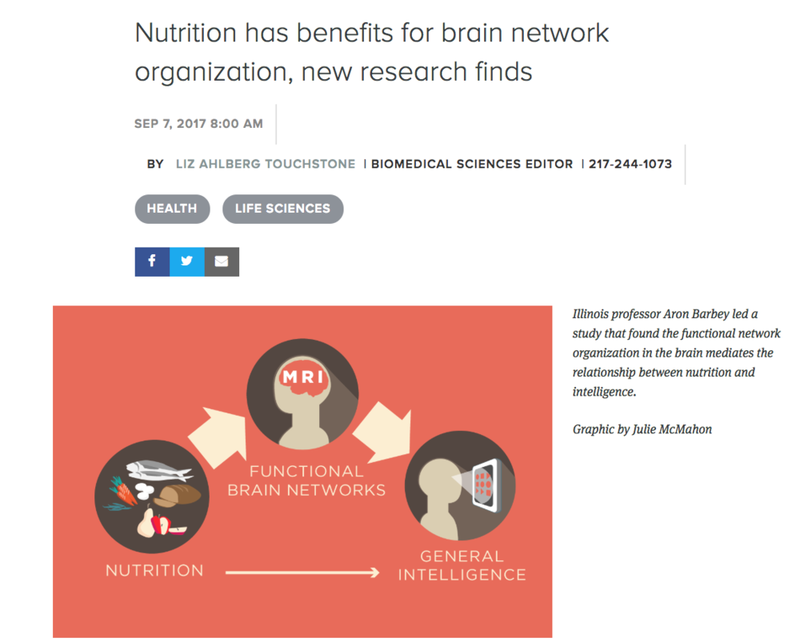 This article describes a study by Dr. Barbey at the University of Illinois that examines the complex relationship between nutrition, intelligence, and functional network connectivity in the brain. We all know that we're supposed to eat breakfast, and make sure our kids do so as well - but here's a summary of a meta-analysis demonstrating why this is important from an educational perspective. 4) Episode 10: How does food affect our brain? 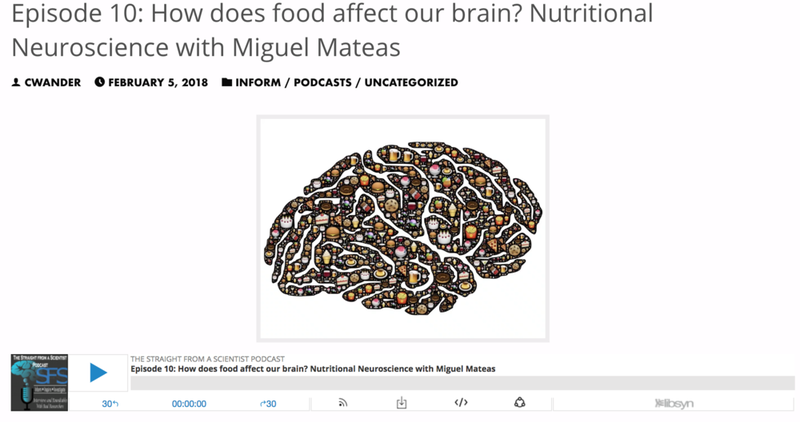 In this podcast episode, nutrition practitioner / clinical neuroscientist / nutritional doctoral candidate Miguel Mateas discusses how the different foods we eat affect our brains. This is a great resource in the form of a TED "lesson" - you watch the video, answer retrieval practice questions (yay!! ), and then dig into further sources and a broad discussion with other readers.